This September, our WICE Spotlight features Alyx Gleason of Clifton Park, NY. Alyx is an Assistant Project Manager at Northline Utilities LLC. We thank Alyx for her time and candor while answering our questions below. Q. What are your job duties as an Assistant Project Manager? A. I work with the project managers and business unit Managers to track all phases of projects with our clients. We work mainly on transmission and distribution projects, along with substation and some renewable work. Currently, I am being trained by a senior-level project manager and I am very excited to be learning from a very knowledgeable project manager at Northline Utilities LLC. She is very skilled in her field and has been a great mentor during my first month here. I am very happy to have this opportunity since I am just starting out in my career. Q. Please list your education and work experience. A. I received by B.S. in Physics, with a minor in Mathematics from Siena College in 2017 and am currently pursuing my M.S. in Engineering Management from Clarkson University. Prior to joining Northline Utilities, I worked in the Energy & Sustainability Office at NYS Parks, Recreation and Historic Preservation. While at Parks, I was involved with overseeing solar installations throughout the park system, as well as working on energy efficiency, water conservation and recycling projects. One of my career goals is to become a Project Manager in the energy field. Q. What are your hobbies / interests outside of work? A. I love to travel! I studied abroad the summer after my junior year in undergrad at the University of Cambridge in England. It was my first time of the country, and I definitely was bitten by the travel bug! During my summer abroad, I also traveled to Barcelona, Paris and Rome. Last summer I went on a service trip to Uganda with The Giving Circle, a non-profit organization based out of Saratoga Springs, NY. I originally decided to go on the trip because during my time at Siena I was the President of the e-NABLE club. It was based off the non-profit organization Enabling the Future, and we 3D printed upper limb prosthetics for those in need. The Vice President of the club and I went to Uganda to deliver a prosthetic arm to a little girl. We also were able to help The Giving Circle with their many projects to create a better and more sustainable lifestyle. Besides traveling and volunteering, I also love trying new foods and going to new restaurants. I also enjoy reading, going on small hikes and taking my dogs on walks. I love to try new things, so I am often looking up different events in the area that I can go to and check out new places. To do something outside my comfort zone, I am currently training for a half marathon as well in September. I never thought I would be able to do it so I am very excited for it! Q. Please tell us how you got involved with / heard about WICE. A. My former supervisor, Kristin Del Belso, at Parks introduced me to WICE when she started her job at NYPA. I also had an informational interview with her current Manager, Emilie Bolduc, to learn about her career path and she connected me with the WICE email chain. Q. In your opinion, how important is it to network and meet others in your field? A. It is extremely important to network! That is how I got my current job! I met the Energy Account Manager from Aerotek at a WICE Albany Lunch Group and connected with her. She then set me up for an interview at Northline Utilities LLC. I am so thankful to WICE for the great opportunity I was given from attending events. I also enjoy learning about people and how they got to where they are in their careers so it is very interesting and fun to get to know people in a professional setting. The way I see it is that you can learn something new from everyone, and you never know when that connection will be helpful in the future. A. I am almost done with Born a Crime by Trevor Noah. Up next will be You Are a Bada** by Jen Sincero. Q. What advice do you give to other women working in the male dominated energy field? A. Look for other women who are in the field as well. Reach out to them and learn from them. Find your allies! Also, just keep doing your job to the best of your ability. I think finding a good mentor has been extremely helpful. I still reach out to my research professor from Siena about issues that come up and just to know I have someone supporting me. I also have a wonderful mentor at my new job, who I know I will learn a lot from that will help me reach my career goals. I am also thankful to WICE because I have met some very empowering women who have been so inspiring. Q. Who is your biggest influence and why? A. My research professor from Siena, Dr. Matt Bellis, is probably my biggest influence so far. I learned so much more from him apart from what I learned in the classroom. I didn’t realize how lucky I was in undergrad (not having to deal different issues in a male-dominated field) until I started learning about other peoples’ experiences and then having my own in the professional world. Not only did he mentor me about my future and academics, but also about social issues and the current political/social climate we are in. I hope to be as well-rounded as he is – being educated about all topics other than science and being able to relate to so many different people from different backgrounds. I am so grateful that I was able to work with him and learn from him – it definitely changed my path in life. I hope that I can be as good of a mentor to someone one day as he was to me. I don’t think I would have had such a good undergraduate experience without knowing he was in my corner. 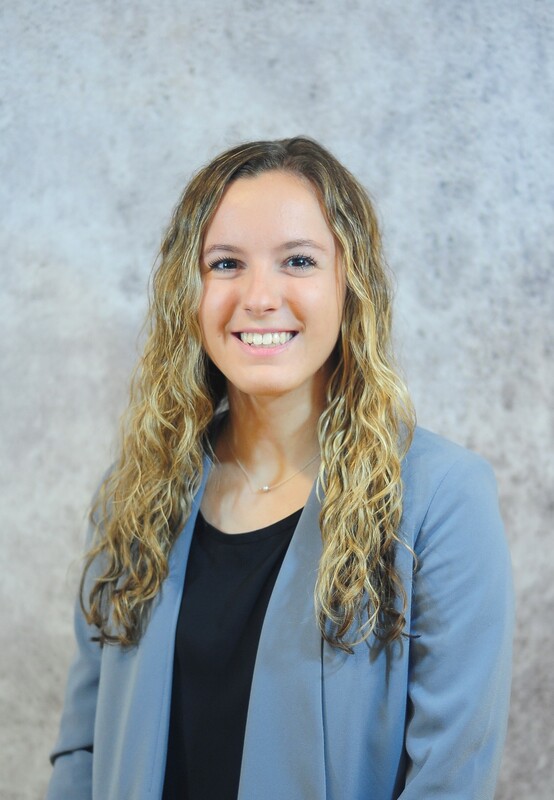 If you would like to be featured in our next “WICE Spotlight”, please contact Erin Gryniak, WICE’s Marketing Manager, at erin.gryniak@nationalgrid.com.